IN the wake of the EU referendum The Detail today publishes an infographic outlining the people holding key positions within Stormont who will be responsible for dealing with the aftermath of the result. We previously published infographics on the civil servants helping to run Stormont's new administration, as well the new ministerial positions following May's assembly elections, but can now confirm the position of each minister's special advisers. 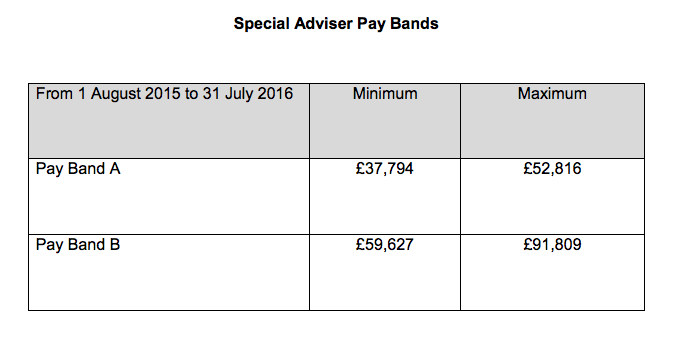 In a statement to The Detail the Department of Finance confirmed that special advisers in Stormont are placed on either pay bands B or A. See the table below for a full breakdown. Now it will fall to this full suite of decision-makers to deliver the pledges of the Stormont government and navigate the challenges it faces.